Come celebrate summer! 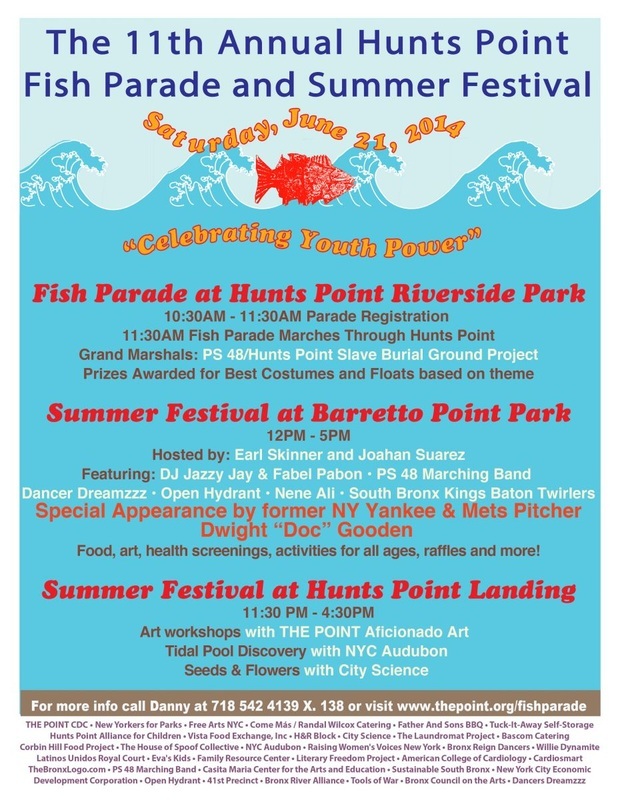 The 11th annual Hunts Point Fish Parade and Summer Festival kicked off in Hunts Point on June 21, 2014 with the parade's theme of "Celebrating Youth Power." Students and staff from PS 48 who investigated the obliterated location of a lost cemetery for the enslaved were the Grand Marshals while the PS 48 Marching Band rocked out, keeping everyone groovin' the whole way! 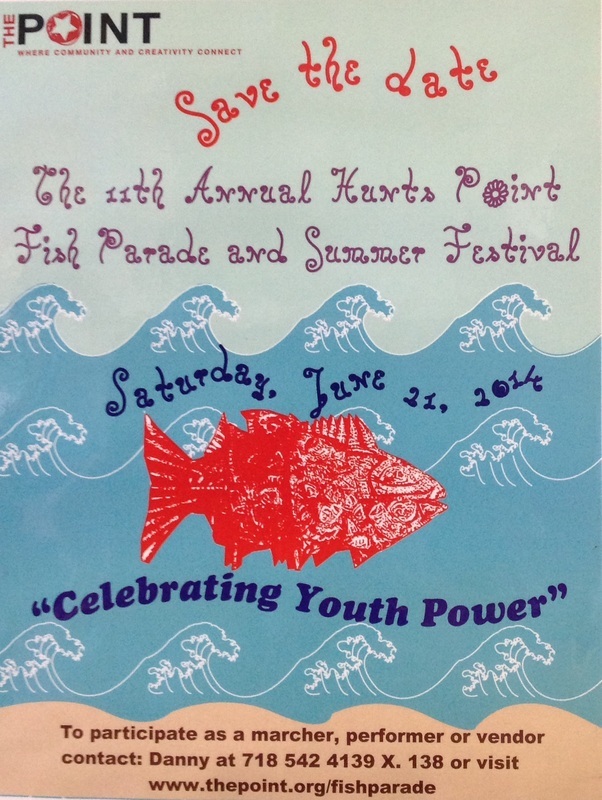 The Fish Parade is graciously hosted and supported by The Point. Visit the Daily New article on the Fish Parade or download the Fish Parade article. Watch the Bronx News 12 Fish Parade Video Coverage. Enjoy highlighted parade photos below or the entire Fish Parade photo set. Share your photos with us!